Storytelling is all around us. In our daily conversations with family, friends, coworkers, and even with strangers. And we’ve heard about the storytellers from the past who held a respected status in their community due to their talent of storytelling. Indeed, storytelling is a craft as old as human’s speech ability, but it is also something that has been continously changing its form and appearance. The nowadays storytelling, as already indicated at the beginning of this story (HA! ), can also be just a chat with someone we meet and tell them what an amazing thing just happened at the event we attended. In fact, in the MICE industry, stories are shared every day, all around the globe, since meetings and events are themselves actually stories of a versatile character that never cease to surprise. To get more insight into the craft of storytelling per se, in Ljubljana one visits the annual Storytelling Festival (Pripovedovalski festival) hosted by its producer Cankarjev dom – Cultural and Congress Centre (CD). This year’s 21st edition of the Storytelling Festival that was held in four of the CD’s halls (Štih Hall, Kosovel Hall, Linhart Hall and in the Club CD) between 16 and 24 March, hosted hosted more than 20 events with more than 40 storytellers and musicians. The Storytelling Festival’s popularity in Slovenia never, despite what one might think about the society’s obsession with digital, virtual, and instant news, has not decreased, but just the opposite, it has been actually flourishing. As the largest event of its kind in Slovenia, the Storytelling Festival every year successfully overtakes CD and other venues across Ljubljana and Slovenia with developing, spreading and enhancing practice of storytelling and the audience’s experience of it. The festival, though, does not stop only by the renowned Slovenian storytellers, but it annually invites into its midst foreign guests as well. According to Špela Frlic, the Festival wants to continue in the development of the storytelling as the art of narration as well as the art of listening. 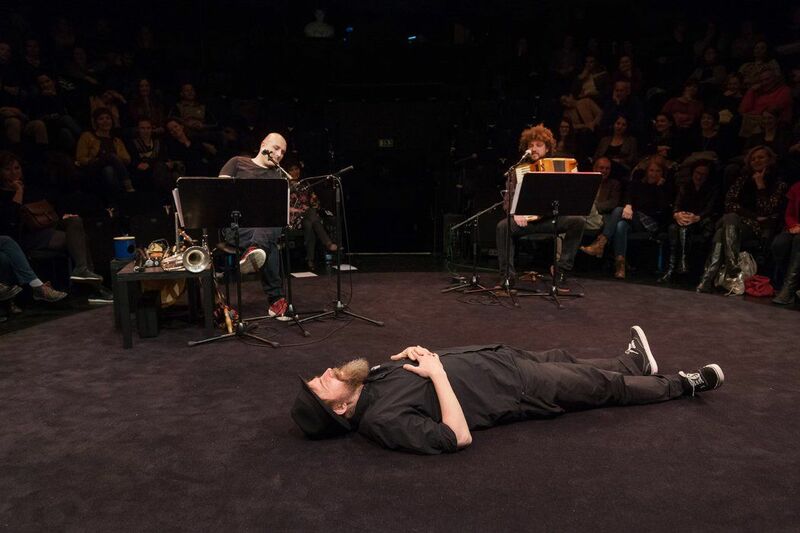 »A well told story is an event where the narrator and the listener meet.« However, the Festival wants to offer stories that are in line with nowadays, while, on the other hand, it wants to find contemporary interpretations of old stories. The programme, though, emphasizes Ms.Frlic: »Is increasingly giving space to real stories as well.« Reason being, the real or personal stories are very sought-for all around Europe. »More and more storytellers pull the narrative material either directly out of their personal life or out of the life and history of their family, while some of them use a successful combination of real life material with the folk stories,« Ms.Frlic explains. All in all, the »Storytelling, as the art form, has a really strong power with telling a story that can help someone to better understand herself/himself and the time in which he/she lives,« finishes Špela Frlic. The next, 22nd edition of the Storytelling Festival, with opening and developing new platforms of storytelling, encouraging partnerships between storytellers and other artistic genres, developing Slovenian storytelling productions, organising practical trainings and theoretical panels, and featuring acclaimed foreign storytellers, will be held at the end of March 2019.